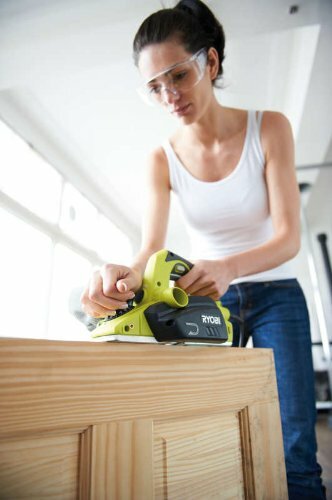 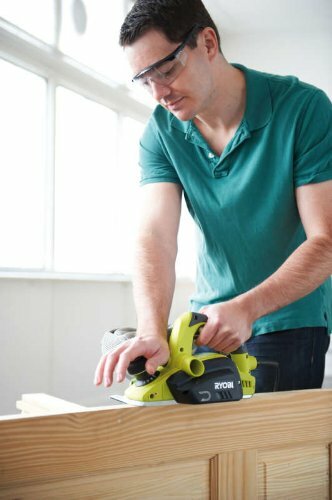 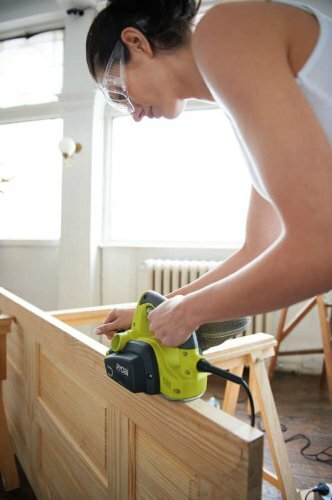 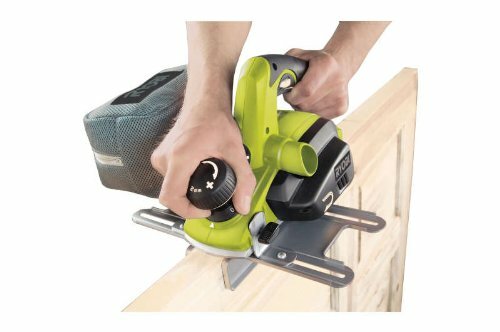 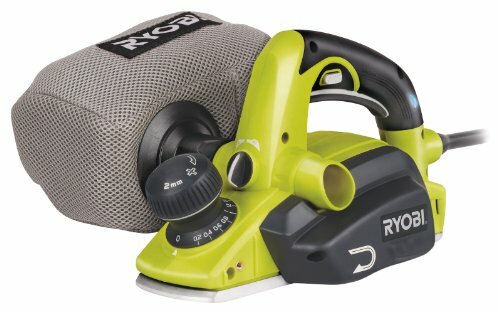 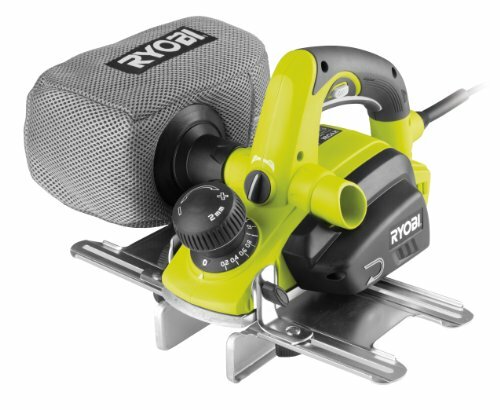 The Ryobi EPN-7582 NHG electric planer has a powerful 750 watt motor and 3 chamfering grooves (0.5,1,1.5 mm) in die-cast front shoe for added precision as well as a double sided fence for precision planing. 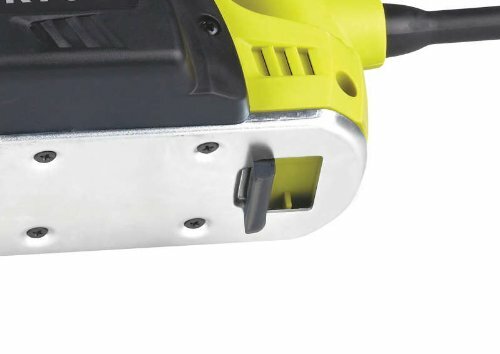 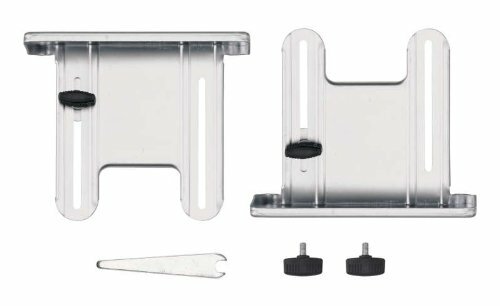 It has a positive dial adjustment from 0-2.0 mm planing depth. 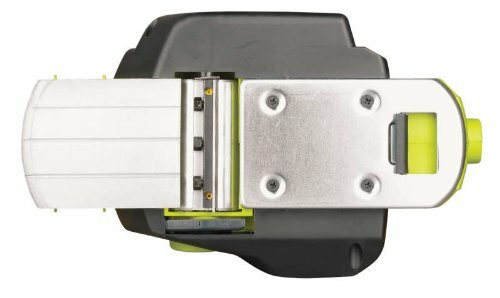 This planer has an overmould dust extraction switch for left or right port, a full length trigger with overmould for greater control, a die-cast front shoe for precision accuracy, DustTech Integrated dust technology system for maximum pick-up efficiency, Livetool Indicator and gripZone overmould technology for improved comfort with a positive grip.